As a pioneer company in the production of cutting blades, we make every effort to manufacture better products in response to our customer's requests by developing cutting techniques. Roll cutter nonferrous metals, food, chemical products, paper, rubber products etc. We have reliable manufacturing systems and specialize mainly in round blades for metal cutting. We have a system to respond to a high-mix low-volume production in line with the current demands. We have a heat treatment technique for high speed steels for 550Π outside diameter. We have considerable experience and performance history in cutting materials that are usually difficult to cut such as; stainless, heat treated steels, etc. We continually stock cutting blades for HSS, special steels and SUS in order to respond to the customer's requests immediately. 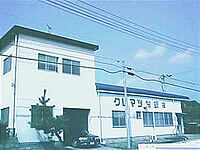 Name of the company: Kurematsu Kikoh Co.,Ltd.